DogsBite.org - The latest issue of Animal People News, which projects 2009 shelter killings based on 2006-2008 data1, reports that a decade of "adoption focus" has failed to reduce these deaths, with the decade's average at 4.5, right where it was in 1999. The data shows that campaigns designed to reduce shelter killing chiefly by increasing adoption, instead of preventing the births of cats and dogs most likely to enter shelters and be killed, have been ineffective. Among the unadoptables in 2009, based on the 2006-2008 figures, will be about 1.8 million cats, believed to be mostly feral, and as many as 967,300 pit bulls. Of the 1,663,167 shelter dogs projected to be euthanized in 2009, pit bulls account for 58%. The increased pit bull killing rate, it was 50% in 2007, exists despite the fact that pit bulls are not more than 5% of the total U.S. dog population, according to the article, and that serious efforts have been taken to reduce this rate. "Of the total U.S. pit bull population of circa 3.5 million, about a third arrive at a shelter in any given year, at an average age of about 18 months. This is the same average age and rate, relative to their number on farms, at which steers go to slaughter. Page 10 of the article shows a regional breakdown of shelter killing during the 3-year period. 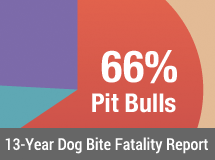 A side bar chart titled, "The Effect of Breed-Specific ByLaws on City Pit Bull Terrier Killing Rates" is also included. As seen in the chart, the City of Denver, which bans new pit bulls, also euthanizes the fewest pit bulls. While the national average of pit bulls euthanized per 1,000 human residents is 3.15, the rate in Denver is only .14. Of the city's total shelter killing, pit bulls accounted for 3%. The City of Cincinnati, which also bans new pit bulls, shows a pit bull euthanization rate that is less than half of the national average 1.34. As noted in the article, pit bulls made up a much smaller part of total shelter killing in Cincinnati (10%) than in Milwaukee (18%) or Indianapolis (17%), two cities of similar demographic profile. Lastly, the chart includes San Francisco data pre-BSL (43%) and post-BSL (29%), a 14% drop after the 2006 enactment of a pit bull sterilization law. 1The ANIMAL PEOPLE projection of regional and national shelter killing tolls each year is based on compiling the tolls from every open admission shelter handling significant numbers of animals in specific cities, counties, or states. The sample base each year is proportionately weighted to ensure regional balance. Only data from the three most recent fiscal years is used. Unless immediately following a new pit bull law (such as the first 6-9 months when many pit bull owners surrender their dogs instead of complying with spay/neuter and other regulation rules), it isn't rocket science that cities with these laws also euthanize fewer pit bulls. The POINT of these laws is typically to reduce the pit bull population in the community, specifically the number of unwanted pit bulls and those with irresponsible owners. As soon as a city's pit bull population is reduced, Voila! The number of pit bulls euthanized annually drops. 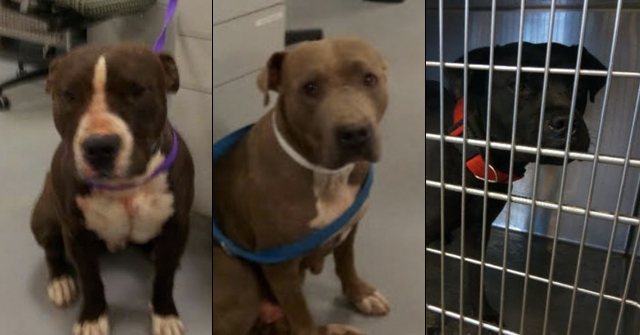 On the flip side, take a look at the disaster in Maricopa County, whose shelter refuses to support the mandatory spay/neuter of pit bulls and instead euthanizes about 10,0000 per year. Pit bulls represent nearly a third of all Maricopa shelter dogs but only account for 3% of the registered dog population. The shelter's failure to support a breed-specific measure to address the breed-specific problem of 10,000+ unwanted pit bulls only ensures the deaths of these dogs. So much for the oft repeated pit nutter myth that BSL doesn't work. BSL works beautifully. I hope more cities and counties take this information into account when forming their own policies regarding BSL. The breed stewardhip of the Pit Bull community is an abomination. LA County, CA euthanizes 13,000 Pit bulls a year but it is OK since the breeding market is open. 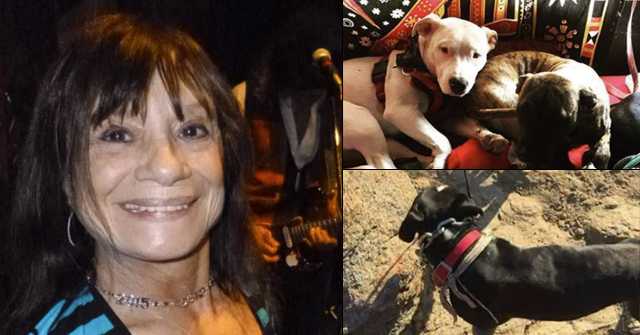 Maricopa County, AZ euthanizes 10,000 Pit bulls a year but it is OK since the breeding market is open. Indianapolis euthanizes 2500 Pit Bulls a year but it is OK since the breeding market is open. Never understood the accusations that Denver and Miami are blood thirsty Pit Bull killing cities when they kill many times less Pit Bulls than other comparable cities…The beef is that the breeding marklet is NOT OPEN!!!! Who is running Maricopa County? Some AKC type? Love how they are letting the tax cheat breeders dump their unwanteds on the taxpayer. The so-called "humane advocates" who are obsessed with adopting out pit bulls, and fight any attempts to regulate the breeding of them, are mentally ill. No one with a grasp of reality would argue that the the "only" problems pit bulls face is public perception…the dogs are bred by the absolute bottom-dwelelrs of society…criminals, dog fighters, drug addicts, dealers, morons, thugs, gang members. When I go on Craigslist in my metro-area, the pit bull puppies being (illegally) advertised on there are ALWAYS listed in the worst of the worst high crime, low income areas…places synonymous with gangs, drugs, and crime. You NEVER see pit bulls for sale in nicer communities and the suburbs. Its Obvious who is breeding the dogs, and what they are being bred for. These dogs are NOT being bred as family companions…they are being bred for aggression. The insanity has got to stop…..we regulate the keeping of domestic animals all the time. The financial, moral, and ethical cost of enabling the dog fighters and drug dealers to keep producing these animals is too high. Anyone who TRULY cared about pit bulls would be SCREAMING for breeder regulation. Boy, are there gonna be some pissed off nutters now. And FINALLY, some stats that show that the "No Kill" crap isn't working. In fact, it is responsible for so many pits being euthanized as well. We can't adopt ourselves out of this situation, we must stop the influx. If all the time, effort, and money that has been put into "No Kill" had been put into spay/neuter, this report may have been a little different. Keep in mind…pit bull owners are DIFFERENT than other types of dog owners. That is why humane organizations all over the country offer FREE spay and neuter, training, and all other kinds of BREED SPECIFIC benefits to pit bull owners, but NOT to any other dog breed owner. Pit bull owners are the MOST irresponsible pet owners……no amount of bribing or free services can solve the problem. In Massachusetts we DO NOT have a dog over-population problem, because of our progressive spay and neuter education, and because we are a culture of pet owners who recognizes the benefits of s/n to our pets and to society. Yet pit bulls still flood local shelters, or are abandoned as strays….amazingly, the ONLY group of pet owners who cannot be educated to take care of their dogs are PIT BULL OWNERS. No one should trust that the types of people who own these dogs will do the right thing, and be responsible…the evidence proves they won't. Anon, I've seen the same in CA. And we have a "cultural" difference as well to deal with. But you are so right, the owners that have pits aren't exactly law biding citizens in my experience as well. So it has to be by the breed, because we can't as easily recognize an "owner". I always say give me a good law and I will report it. CA has an anti-breed specific law but has given us the ability to pass mandatory spay/neuter for them. However, these liberals here think it discriminates so they are passing it for all breeds, like LA did. Not so bad but makes it harder to enforce and what good is a law without enforcement? Seattle story from 2007: Pit bulls are 48 percent of dogs euthanized at tax payer expense. 8-month period, 90 pit bulls euthanized in Denver, "According to the Denver Municipal Animal Shelter 196 pit bulls have been impounded in 2009. 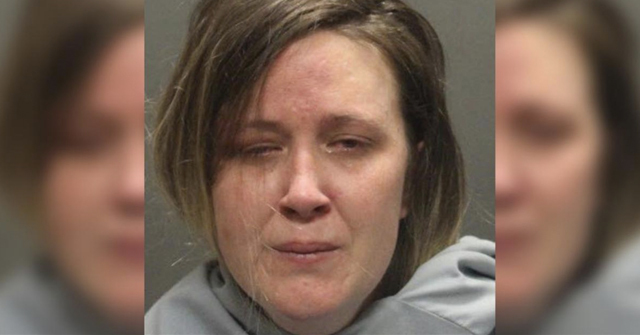 Ninety of those dogs were euthanized." 12 month average in similar sized city, Seattle, with NO breed-specific law: 300 pit bulls euthanized. Thats roughly 50 Million pounds of Euthasol filled Pit bull carcasses needing disposal in the US annually…I'm surprised the EPA hasn't gotten involved…. Rest assured that the companies that produce and sell euthasol love this and are anti-BSL! If the Pit Bull community is going to treat these animals like livestock, can't they at lest ship them over to that Pit Bull eating tribe in New Zealand? The Tax Payer is getting mauled here! 70% of the dogs coming into New York City Animal Care and Control shelters are pit bulls. There is undoubtedly a significant dog fighting problem in the city. "Seventy percent of dogs who come into the shelter system, according to the AC&C website, are pit bulls–one of the three breeds now banned from NYCHA projects." It amazes me to see cities dropping their Bans. We will see their stats go back up because of their fooliness.